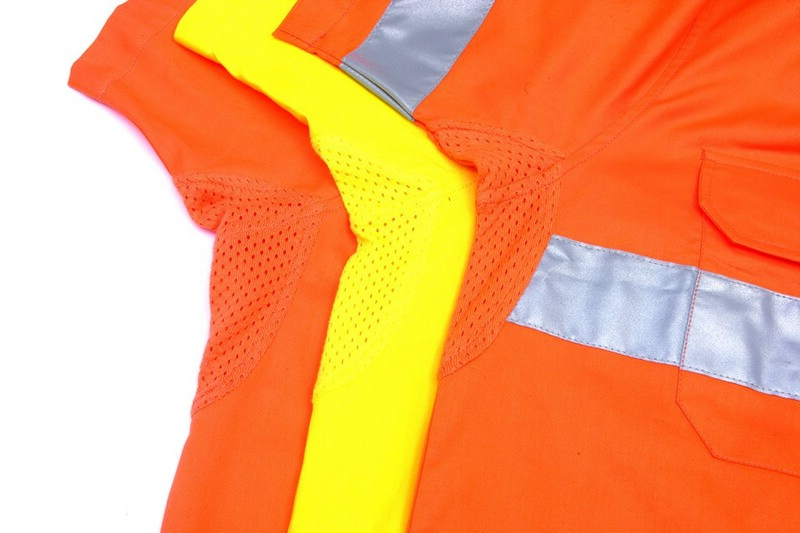 Fabric: 155 gsm lightweight cotton Under arm cotton mesh vents. Twin button down flap pocket and LHS sleeve pen pocket. Two tone front and back.